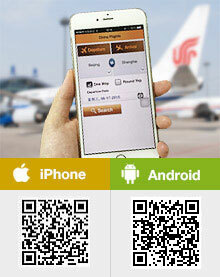 Presently, Qingdao has only one civil airport in service: Liuting International Airport. In this airport, over 30 airlines operate around 135 air routes, and 20 or so of them are international air routes. The airport now has flights to/from more than 80 destinations globally, including about 20 cities and regions overseas and 60 or so at home. A new international airport is being built in the city and is expected to be put into use in 2019. This airport is 23 kilometers (14 miles) north away from the downtown area. This airport has 2 terminal buildings: T1 is for the majority of the domestic passengers and T2 is for the passengers of China Eastern Airlines and all the international passengers. There are 8 shuttle bus routes and several city bus routes connecting the airport and the other areas of the city. Passengers can also transport between the airport and the neighboring cities by long distance bus. How much does it cost to fly to Qingdao from overseas destinations? In normal condition, the economy ticket prices of the flights from Los Angeles change between CNY 5,000 - 7,000, from Melbourne change between CNY 9,000 - 10,000, from Frankfurt change between CNY 12,000 - 30,000 and from Seoul is CNY 800 - 1,500. Passengers can get the real-time prices and the air ticket prices of other routes from the search box on the page top. 1. Instead of direct flight to Qingdao, international passengers can also take a flight to Beijing or Shanghai at first and then transfer by high speed train. The international flight ticket to these two metropolises generally enjoys bigger discount. 2. It would be better for passengers with limited travel budget to avoid the public holidays and peak seasons (April to October) in China, because the air ticket often has low discount or no discount then. The domestic flights normally have a 30% - 60% off discount in low season from November to next March). 3. If the air tickets with the same departure time are sold at different prices, passengers can buy the cheapest one, because they are actually on the same flight but sold by different airlines. 4. The airfares to Qingdao of the flight scheduled late at night or early in the morning are usually cheaper than the flight of other periods. You can take one piece carry-on luggage less than 5kg and the checked luggage should be within 20kg. If I bring 5 kg more. I much do I have to be pay? If it is more than 5kg, you can arrange it as checked luggage instead. If your checked luggage is more than 20kg in total, you need to pay extra. I think it should be 1.5% of the full price (economy class) per KG. travel to by air or train. What is the frequency and cost of each mode 0f travel and also cost. The most economical and convenient transportation is to take a train. There are many fast trains available between the two cities on daily basis. You can check the train schedule and ticket price online.